Aidan Carson of NGINX, Inc. In a classic study, the retail division of Amazon tested various page load times and found that revenue dropped 1% for each additional 100 milliseconds it took for a page to load. It’s no surprise that application performance directly impacts revenue, as customers increasingly expect instant access from anywhere to the applications they depend on. With the amount of competition in today’s digital economy, customers can quickly and easily move to a competitor if your site doesn’t meet their expectations. Global server load balancing (GSLB) – also called global load balancing or GLB – improves load times by directing end users to the copy of a resource that is closest to them (where “closest” is usually measured in terms of network latency). A lot of our customers that host applications in Amazon Web Services (AWS) use the AWS DNS service, Amazon Route 53, for GSLB. The content for a web domain is stored in multiple AWS regions, and Route 53 responds to DNS queries from clients with the DNS record for the region that is closest to them. For optimum performance in each region, multiple instances of NGINX Plus are deployed for high availability. They load balance incoming requests among the local application and web servers, making for a clean hierarchical architecture. Route 53 and NGINX Plus together are a powerful alternative to GSLB solutions from vendors such as F5 and Citrix, which are based on costly and inflexible hardware appliances. With Route 53 and NGINX Plus you implement GSLB without having to manage your own DNS servers, freeing up your overworked operations teams to concentrate on the strategic aspects of your cloud initiatives. 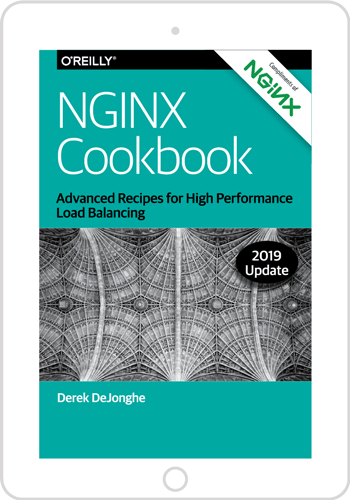 To get you started with global load balancing as quickly as possible, we’re publishing a deployment guide, Global Server Load Balancing with Amazon Route 53 and NGINX Plus. It explains step by step how to configure all components – Route 53 for GSLB, NGINX Plus to load balance traffic in each region, and open source NGINX to serve domain content from the regions. Experienced with Route 53 but new to NGINX Plus? Take advantage of our 30-day free trial or contact us for a live demo, and see for yourself how NGINX Plus can boost the performance and manageability of your applications hosted in AWS. 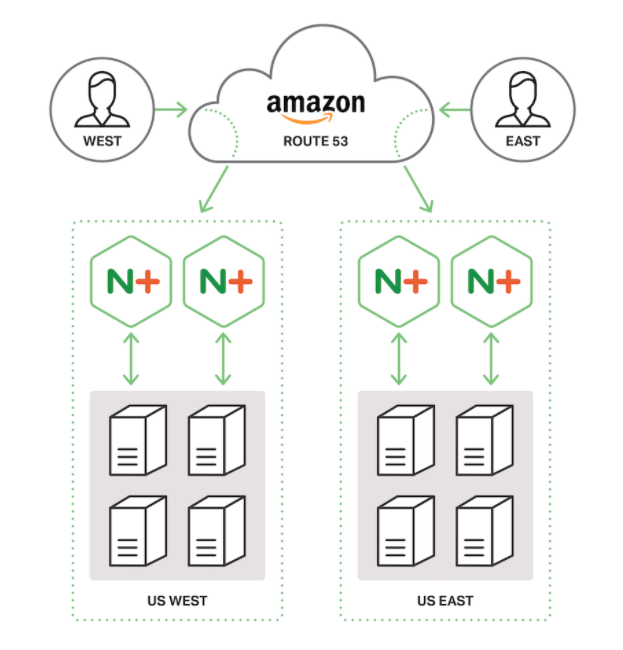 Check out the Global Server Load Balancing with Amazon Route 53 and NGINX Plus Deployment Guide now.